PhytoCellTec™ Goji is a novel active ingredient based on goji plant stem cells which improves cell-to-cell communication via exosomes. Treatment with PhytoCellTec™ Goji significantly improved skin density, wrinkle depth as well as the oval face shape through reduced sagging of facial contours. As we age, one of the major changes in our skin is the breakdown and reduced production of collagen and elastin. This results in sagging skin that can most notably be observed at the face contours of the jawline. A youthful appearance with a V-shaped jawline is a desired look all over the world. Mesenchymal stem cells are a type of stem cell in the skin that is important for various regeneration processes, such as wound healing. They are able to signal to fibroblasts to produce more collagen and elastin in the dermis. They do this by producing vesicles that are called exosomes. Exosomes are small, approximately 100 nm vesicles that are surrounded by a membrane which contain messenger molecules for cell-to-cell communication. However, mesenchymal stem cells also undergo the aging process which is why an active ingredient that rejuvenates these cells and boosts exosome production can improve the oval face shape. 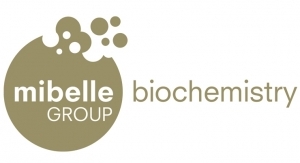 To achieve a V-shaped face, Mibelle Biochemistry developed PhytoCellTec™ Goji, a novel plant stem cell active ingredient based on a plant stem cell culture of a goji seedling, the superfruit known and eaten all over the world. When aged mesenchymal stem cells were treated with goji stem cell extract, the expression of stem cell markers was increased. This suggests that PhytoCellTec™ Goji is able to help mesenchymal stem cells to maintain their stemness. In addition, treatment with goji stem cell extract is able to boost the production of exosomes by mesenchymal stem cells. To show cell-to-cell communication, human mesenchymal stem cellswere treated with goji stem cell extract. The medium, which includes soluble factors as well as exosomes, was added to fibroblasts for a period of 24 hours. 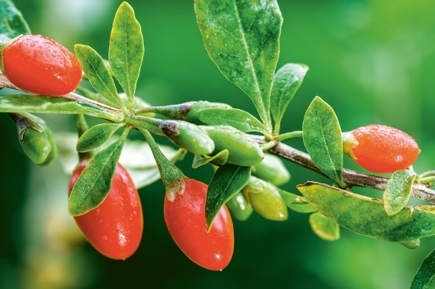 Results showed that the conditioned medium from goji stem cell extract-treated mesenchymal stem cells increased the gene expression of several extracellular matrix factors such as collagen and elastin. In a placebo-controlled clinical studies, a significant improvement of skin density could be observed for the treatment with 0.4% PhytoCellTec™ Goji after 28 days. After 56 days, a significant decrease in wrinkle depth in the crow’s feet area could be measured. Notably, not only fine wrinkles below the eye appeared smoother, but deeper lines were also visibly improved. In anotherplacebo-controlled clinical study, treatment for four weeks with 0.4 % PhytoCellTec™ Goji significantly improved the oval face shape compared to initial conditions. To summarize, PhytoCellTec™ Goji revitalizes mesenchymal stem cells and boosts their exosome production and consequentially increase the production of collagen and elastin by fibroblasts. This rejuvenates the skin from inside out for an improved V-shaped face.